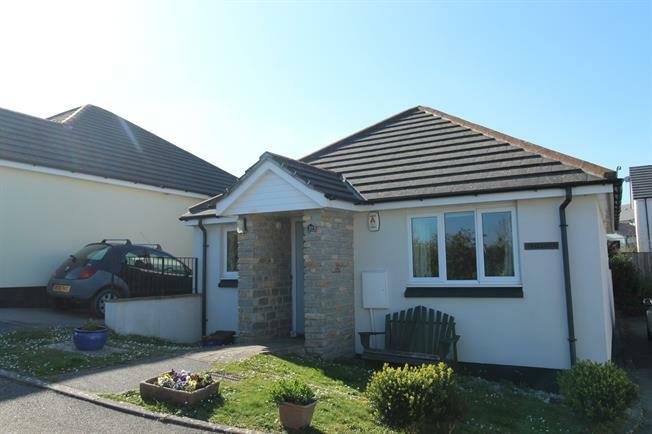 2 Bedroom Link Detached House Bungalow For Sale in Wadebridge for Guide Price £230,000. An extremely well presented, low maintenance linked detached bungalow, in an exclusive and private position. The accommodation comprises an entrance hall, modern kitchen with fitted appliances, lounge, conservatory, two double bedrooms and lovely bathroom. 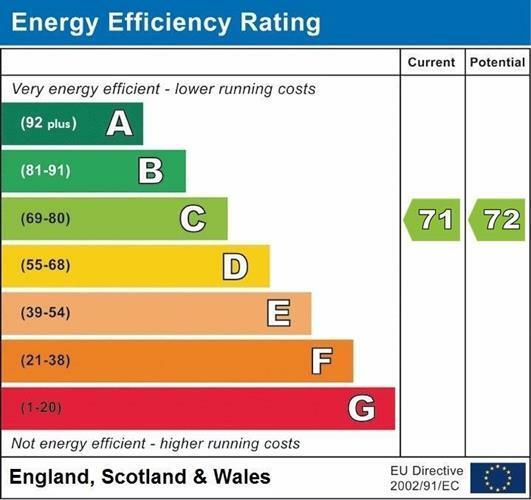 Complemented with gas central heating, uPVC double glazing, driveway parking with a rear utility area. A viewing is highly recommended. UPVC double glazed door with storm porch. Radiator, engineered oak flooring, built-in storage cupboard and airing cupboard. Access to the kitchen, lounge, bedrooms and bathroom. A modern kitchen which comprises; Double glazed uPVC window facing the front. Radiator, engineered oak flooring, part tiled walls. Roll top work surfaces, a range of wall and base units, one and a half bowl stainless steal sink with drainer, integrated electric oven, integrated gas hob, stainless steel extractor, integrated dishwasher and fridge/freezer. Space for washing machine. UPVC French double glazed door opening into the conservatory. Radiator and electric fire with feature surround, carpeted flooring. UPVC sliding double glazed door opening onto the garden. Double glazed uPVC window facing the rear and side. Carpeted flooring. Space for a dining table. Double glazed uPVC window facing the rear overlooking the garden. Radiator, carpeted flooring and fitted wardrobes. Heated towel rail, carpeted flooring, part tiled walls. Low level WC, panelled bath with shower over, pedestal sink, extractor fan and shaving point. Up and over metal door to the front and rear door to the garage. Light and power connected. To the rear there is space and plumbing for a tumble dryer. The property is approached over a path to the main entrance with storm porch cover. The front is laid to lawn and driveway parking for one car. The majority of the gardens is found to the rear, considered to be of low maintenance, tiered over two levels, initially laid to paving slabs and patio area ideal for an outdoor seating space and potted plants. An upper level is perfect for a range of mature trees, plants and bushes. A viewing internally and externally is highly recommended.